As i'm writing this now, i'm currently watching this. I won't tell you what part i'm up to because A. I haven't finished this series yet. B. I would hate to give away any of the story so far. and C. Isn't this piece of writing meant to encourage you to watch this? 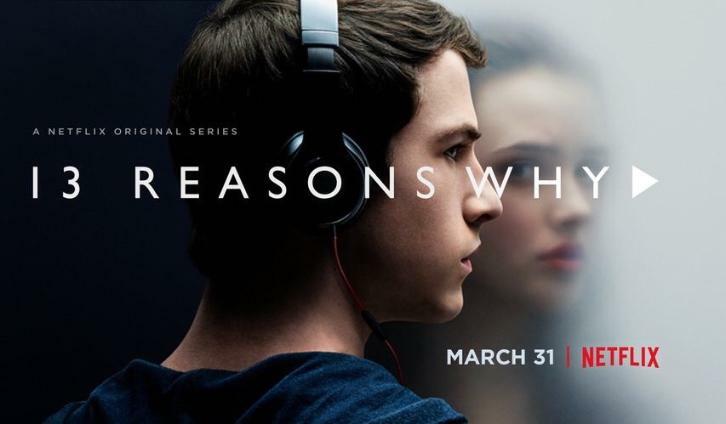 You might have noticed that 13 Reasons Why has grabbed quite a lot of social media attention. The main factor that people are taking away from this series is how it shows you the insights and thoughts of Hannah a high school student who commits suicide through 13 pre recorded cassette tapes. For the most part, other than it's story line, it's got people talking about suicide and how its a real thing that shouldn't be over looked especially when people are at a younger age feeling like they have no place to reach out to. Please, if you're out there and you feel like you can't talk to anyone about your feelings, don't suffer alone. Someone will be happy to listen - why not talk to the Samaritans - they'll listen to you. 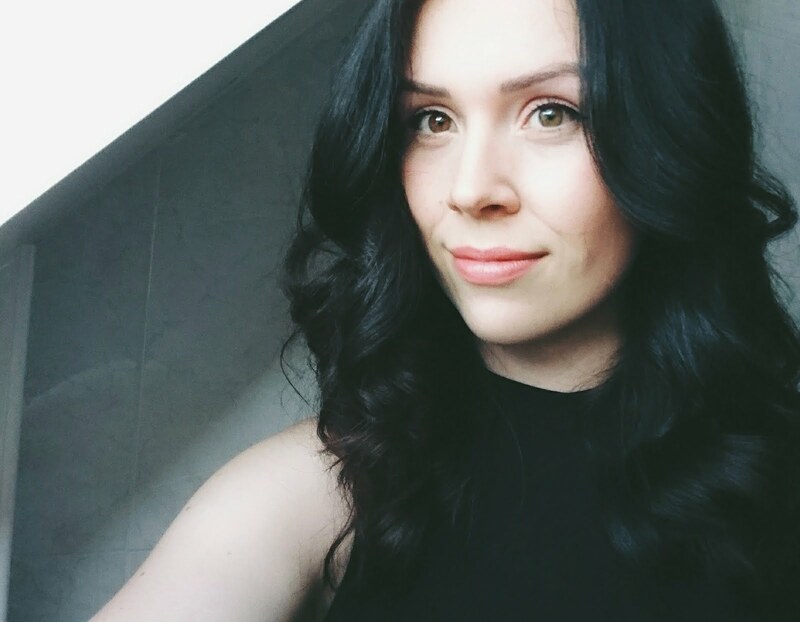 or call (free) 116 123 if you're in the UK. 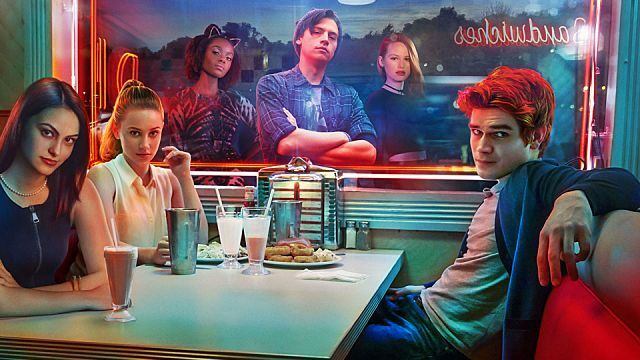 After the death of one of the 'rich and popular' Blossom twins on the 4th July in the small town of Riverdale - where everyone knows everyone - an investigation arises into what happened. The series starts in September, its the beginning of the new school year the mysteries begin to unveil. It's refreshing watching a series that has quite a few fresh faces. You might have recognised from the image above or the trailers that Cole Sprouse is a star of the series. You definitely don't think about the ol' Tipton Hotel whilst you're admiring this different type of character. I'm really into this right now, it's a shame the episodes are on a weekly release! I'm hooked! 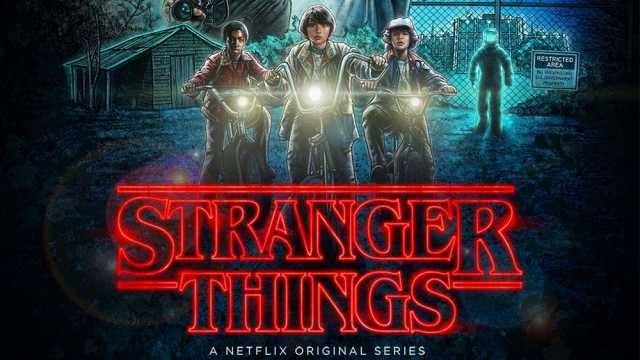 If it's not enough that this TV series that is based in the 80's was nominated for 2 Golden Globes, perhaps knowing the 2nd series is on its way to us! "In a small town where everyone knows everyone, a peculiar incident starts a chain of events that leads to the disappearance of a child - which begins to tear at the fabric of an otherwise peaceful community. Dark government agencies and seemingly malevolent supernatural forces converge on the town while a few locals begin to understand that there's more going on than meets the eye." oooooo. Get watching! Okay so this isn't a Netflix Original Series. BUT I'm going to be a little shocked if you haven't at the very least heard of Pretty Little Liars. The saddest thing about that is that the final ever season is on it's way on the 19th April this year and i'm not mentally prepared for it to be over forever. 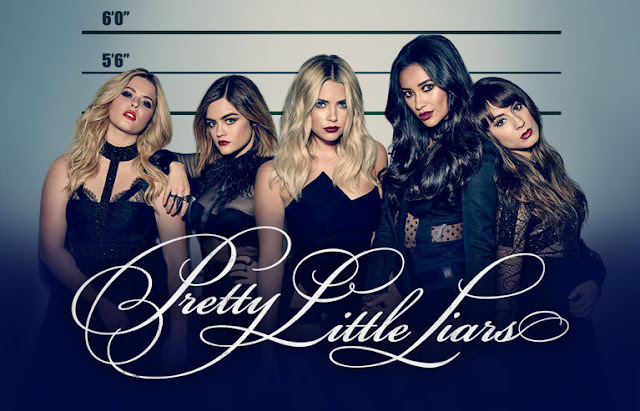 It all starts from when four friends in a town called Rosewood stick together against an anonymous threat which wants to reveal their inner most darkest secrets when they try to unravel the murder of one of their best friends. I'm not going to lie, I've probably watched every episode so far numerous times because I cant get enough of how gripping the story line becomes. Each season will leave you wanting to know what happens next.